Due to popular demand, storm mode is gone. You can weenie it up and post whatever. don't care. Enjoy. 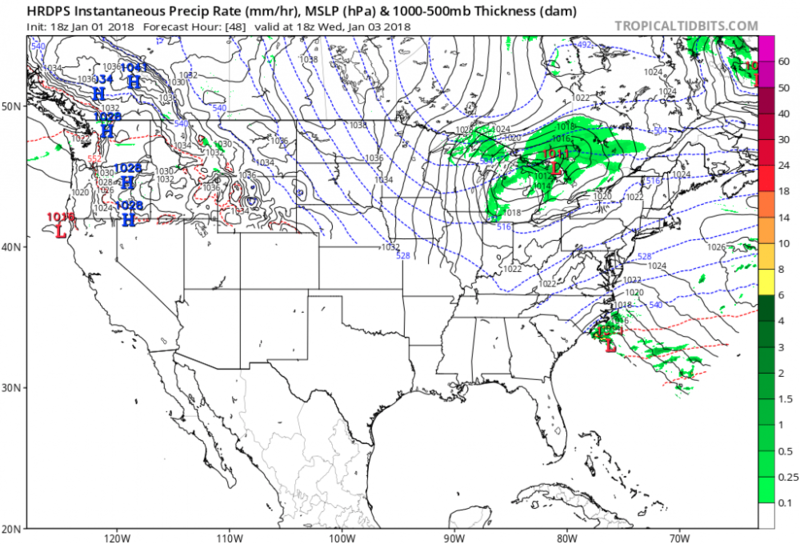 18z NAVGEM shifted the precip a little east but the low looks to be in about the same location and the 500 mb map looks similar. 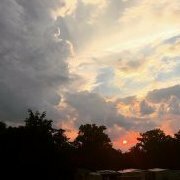 DT actually has a pretty good pod cast on the potential storm for anyone interested. Interesting where the HRDPS has the low by hour 48. 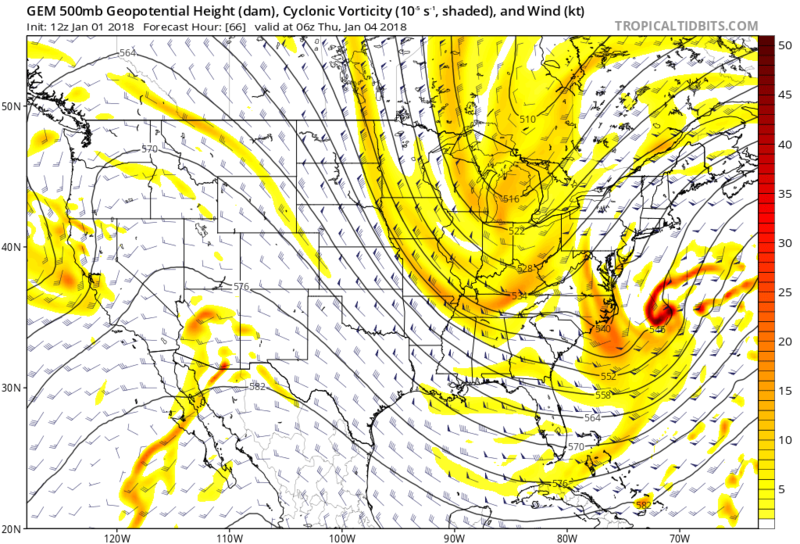 Quite a bit further north then the 18Z GFS at the same timeframe. For people who care, 21z SREFs went east (QPF-wise). Mean QPF dropped to 0.33” at DCA but in reality its being skewed by four members. Take those out and the mean is 0.1”. Picking up something that was brought up in a previous thread: Tropical Tidbits now shows the high-res RGEM (HRDPS), which apparently went operational on December 14th. In case you're wondering what that is, it's a version of the RGEM with 2.5 km resolution, as opposed to 10 km for the normal RGEM. A brief summary is provided in the official note announcing its release, but the below sections are probably most relevant. (The RDPS is the RGEM). AND P) OF THE CMC. A test version of the HRDPS has been available for a while, but we haven't used it much because it wasn't widely available and came out much later than the RGEM. It looks like it's coming out more quickly now that it's operational. I haven't noticed a major improvement in its performance over the RGEM for winter storms in our area, but it seems that it does tend to run a little drier, especially when the RGEM is too wet. That's consistent with its verificiation scores: we should expect it to be (on average) drier than the RGEM with less of a cold bias. In case you're wondering why only half the country is covered, it's more narrowly focused on Canada than the RGEM. This is the region it covers. It will be fun to see how well it does with this storm. I don't know how many times in the past Andros Island has been mentioned in a snowstorm thread, but the NAM places the low just north of there at 18z. Melbourne Radar currently showing convection east of Fort Pierce FL, and other returns that look like flocks of birds scurrying around in the ever-shrinking warm sector. Meanwhile mid-20s (F) dewpoints over the central Gulf of Mexico in a broad northeast flow that has pushed the arctic front past Veracruz and part way across the Yucatan. This thing is going to go ballistic when those arctic winds make full contact with the Gulf Stream. NAM is really delaying the phasing. Edit: 12k NAM throws precip fairly far West, just East of DC. Not sure what to make of the 12k NAM run. Wow. Norfolk really gets clobbered on this NAM run. Might be time for a road trip. It looks like it gets precip to just east of 95 on this run as well. Delayed phase allows lead sw to get out ahead just enough to tug trof east. Didnt see a closed 500mb low either. NAM looks worse to me, at least looking at 500 MB. Looks east and open. That may be all she wrote. I guess I'll check back tomorrow and see what happened overnight before tossing my towel on this one, but hopefully if we miss out, so does everyone else. At least we get strong winds and bitterly cold wind chills. Nope, Norfolk gets clobbered pretty good. I meant the folks to our north. Norfolk can have their foot or whatever. I think it's just happens to be the lowest pressure within the scope of the model, so it's just a placeholder until the low comes into view. Yeah I just saw Boston does get crushed at the end of the run. Ugh. Not surprised about the NAM though, not that it's terrible, but when I saw the SREF's cut back drastically, I had a feeling the NAM would take a step back as well. 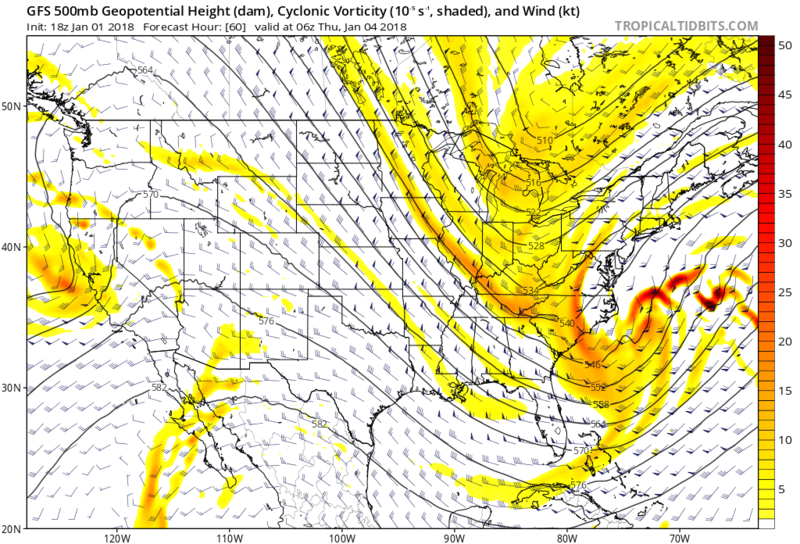 Nams remind me of the euro with the shield to the west of the low. Not identical of course but they both have the same bulge to the west. Yeah....and now watch the GFS come way West. Glad at least the S & E part of our subforum get hit on the NAM. Snow at the beach is pretty. That looks like some overcast, windy, and cold weather. Bummer.